GITAR (Genome Interaction Tools and Resources) is a standardized, easy to use and flexible solution to manage Hi-C genomic interaction data, from processing to storage and visualization, composed of two modules: HiCtool and a processed data library. 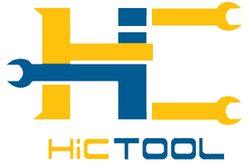 HiCtool is a Python library for processing, normalizing, and visualizing Hi-C data, including topological domain analysis. Datasets from the 4DN Genome Interaction library processed using a standardized bioinformatic pipeline (HiCtool). GITAR has been published in Genomics, Proteomics & Bioinformatics (see article).